For many years, the Plant City Family YMCA has provided youth programs and financial assistance to those who couldn’t take advantage of the camps and programs offered. Unity in the Community, a Plant City-based charity, is helping ensure those efforts continue. 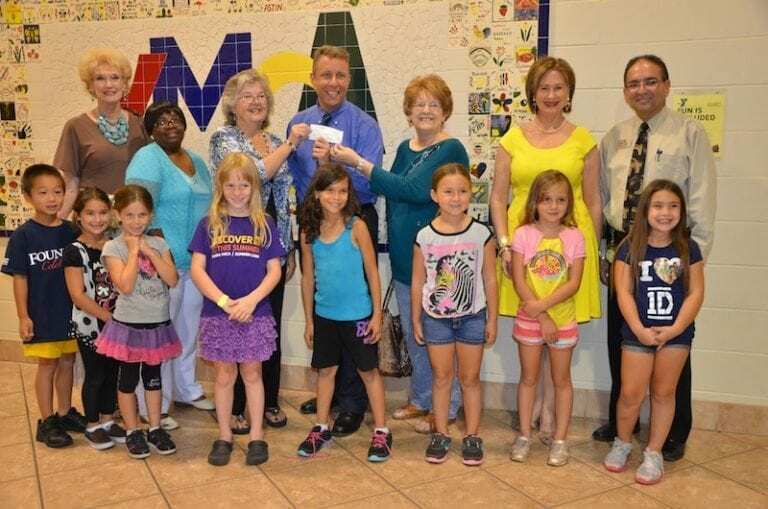 The Plant City non-profit presented the YMCA July 9, with a check for $10,000. The money will benefit the youth programs and scholarship initiatives. “Most of our funding we receive go to our youth programs, as well as anything we do to reach out into the community,” said Rick Gould, the new executive director of the Plant City YMCA. Gould took the position June 24 and came to Plant City from Dover, Del. He has 25 years of experience working with the YMCA. This summer, the Plant City YMCA has about 80 kids enrolled in summer camps each week. Gould said more than half of those kids are able to participate in the programs because of financial assistance. Aid is determined on a family’s financial status. “We’re really dependent on the community to support us so we can provide services to families in need,” Gould said. The YMCA is one of many organizations and charities to which Unity donates. In 2012, it donated $130,000 to local charities and programs, including the YMCA, the United Food Bank of Plant City and Meals on Wheels. In the last three years, Unity has donated $28,000 to the Plant City YMCA. Unity raises money throughout the year with fundraising events. They sponsored a golf tournament in May and raffled off a pickup at this year’s Florida Strawberry Festival, courtesy of Stingray Chevrolet owner and Unity in the Community member Steve Hurley. Unity will hold a clay sport shooting event Sept. 21, as another fundraising effort. In addition to its summer camps, the YMCA is offering other youth programs, including team leadership, kindergarden readiness classes and a summer literacy program.